New York – November 14, 2017 – Vela, the premier market access technology provider, today announced that Jen Nayar was named CEO of the Year at the Markets Media Markets Choice Awards: Women in Finance at a luncheon on November 7 in New York. This award adds to her recognition in 2016 for delivering Excellence in Trading Technology. The Markets Choice Women in Finance awards, in its third year, recognize the most talented and accomplished women across buy-side and sell-side trading desks, institutional investors, hedge funds, exchanges, and technology providers. Following the corporate rebranding to Vela last year, Jen led the acquisitions of OptionsCity Software and Object Trading this past summer. 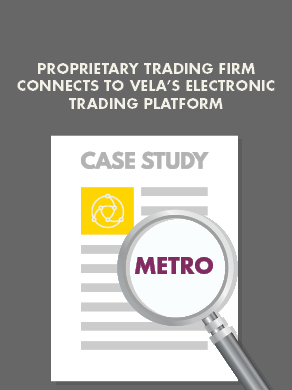 With these acquisitions, Vela has broadened its capabilities, providing global clients with a comprehensive suite of solutions across the entire electronic trading workflow.